For those that received this message on Oct 1, 2012, The message you received was not your individual account being suspended. We have been having some billing problems with IPB due to some communications problems and expiration date problems with a credit card on file. We are at least temporarily back on line and will be hopefully rectifying the problem this week. The problem with Invision billing has been fixed and we should not be having any future problems. I apologize for the repeat of the account suspension problem again on 10-03-2012. I have been doing everything in my power to restore the forum as quick as possible. I have been officially notified by IPB Hosting services billing manager that the problem has been rectified and we are back on line now. i would like to tell you that it will never happen again but sometimes in life there are things beyond our control and they happen. We can only do our best to try and prevent them and take care of them as best as we can and that is all. 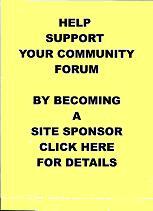 We are fortunate not to have advertising plastered all over this forum, its use is without charge to members and one must remember it is run strictly by volunteers. Sorry for any inconvenience and thanks for your understanding.